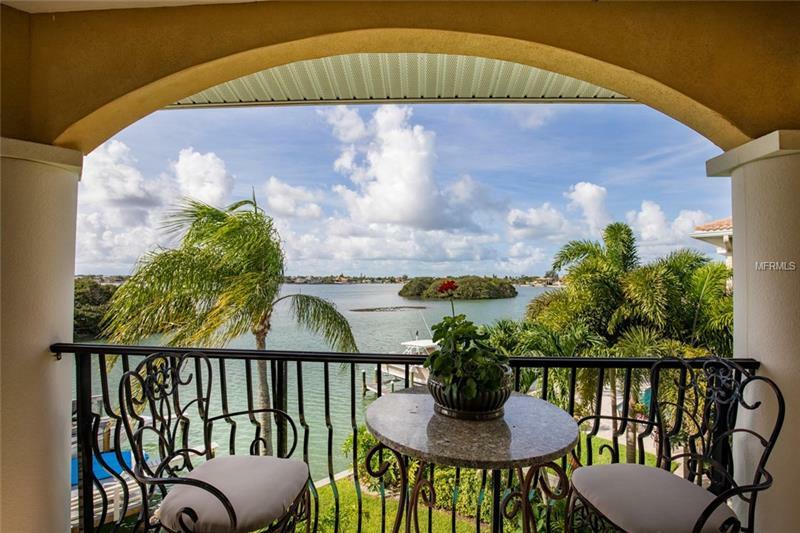 Beautifully reconstructed in 2007 this elevated home showcases fantastic panoramic open water views. The commercial grade construction using steel I-beams steel wall studs and steel roof trusses is capped with a steel tile life-time roof. The grand entrance foyer is bright and airy and features 18 foot ceilings a staircase with wrought iron rails diagonally laid tiles a glass block wall with a terrarium and a soothing water feature. The gourmet kitchen with breakfast bar provides plenty of storage in custom cabinetry massive amounts of granite counter space and premium stainless steal appliances. The 2nd living room could easily be converted to a large main floor master suite or mother-in-law suite. Upstairs a loft reading room/office leads to a spacious sundeck and entertainment area. The upstairs master suite features panoramic views large walk-in closet and a generous sized master bath complete with dual vanities soaking tub separate shower and water/closet. An upstairs guest suite features a large bedroom walk in closet and ensuite bath. The 1500 sq/ft ground floor is bonus space and not counted in the home’s 4100 sq/ft of published living space. The refinished pool and paver back yard deck is surrounded by mature palms and lush tropical landscaping. The dock is a boaters dream featuring composite decking 10000 lift deep water and quick access to the intracoastal and Gulf of Mexico. A newer corrugated seawall and cap complete this boater’s paradise. Only 400 yards to the beach.